As one of our participants at the Pimp My Profile event succinctly put it: you have to tell the story based on your script and then you have to tell your story. It’s exhausting but now a necessity that no one can escape. Your audience wants to know about you, your production and your journey along the way. Embrace it and tell it in your voice. The Metro Screen end of year Social Picnic is TONIGHT, Thursday 13 December from 5pm – 8pm at Paddington Reservoir. Come along to meet your peers, talk films and let us know what you have planned for 2013. Bring your snacks and beverages down to the park at the corner of Oxford Street and Oately Road Paddington. It’s that time of the year when the Metro Screen crew give the printer a well earned break and close up shop for the silly season holidays. The office will be closed from Friday 21 December 6pm – Wednesday 2 January 2013 9am. You can apply for funding, post on our forums, book in to courses or get a production quote online any time. Take a tour of the Metro Screen studios and learn about the 2013 funding program, the new format for the Certificate IV in Screen and Media Studies, short course opportunities and networking events at the next Open House information night January 16 from 6pm – 7pm. Optimism Films Producer, Alicia Brown talks about her upcoming internship with American independent film producer Ted Hope. Stay tuned in 2013 when Alicia will share her experience with Metro Screen with regular blogs and video updates. 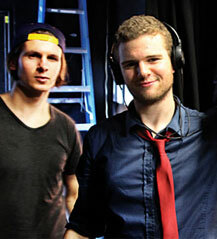 Applications are now open for the Certificate IV in Screen and Media, starting 11 February 2013 for 20 weeks full-time. Get in quick to book an interview and take advantage of the early bird discount before January 25. This accredited, industry respected course will focus on dialogue, story and character. Students graduate with a strong skills base across all aspects of screen production and an industry recognised qualification. Renea Moore, an experienced Line Produer, Assitant Director and Script Supervisor is the dedicated production manager guiding and nurturing students through this intense and practical hands-on course. As part of the course, Metro Screen will place you in an industry internship to work with professional companies to get work experience, gain industry contacts and get a taste for your potential career path. Previous graduates have worked at Firelight, Movie Channel, Seven, Nine, Jungleboys and Fremantle Media. This popular 3-day intensive filmmaking workshop for 11-17 year olds teaches the fundamentals of filmmaking from script to screen. Participants will have the opportunity to write, act, shoot, light, direct, edit and produce one of the following; short film, theatrical trailer, TV commercial or behind-the-scenes documentary. 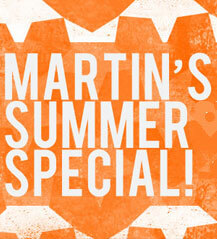 Martin’s Crazy Summer Hire Special! Hire equipment for 12 days for the price of four days. Whether you are shooting your TropFest short or your family reunions during the summer holidays, book early and get an amazing deal. Pick up your gear 21 December and you can use it right through until 3 January 2013 for the price of just four days hire. First in best dressed. Send us your booking through our online instant quote to redeem this once-a-year offer. Submit your job, event, film festival entry opportunity, giveaway or news item to the Forums any time. Low budget independent feature script in development, for 2013 shoot in Sydney. Looking for a crazy brave partner to help embrace limitations and make some cinema. WEA Sydney’s 100th Anniversary presents The Rise of the Tramp: The Genius of Charlie Chaplin 1914-1917. Fun for all of the family. In January 2013 at the NSW State Library’s Metcalfe Auditorium in Macquarie Street Sydney, the WEA will hold a tribute to the birth of the iconic tramp, Charlie Chaplin. An injured ex-bomb disposal technician laments over the path his life has taken after his return to society; from being contently part of the system to opposing it with a vengeance. The Decree was shot on Metro Screen’s Sony PWM F3 camera and co-written/co-produced and directed by former Metro Screen Network Co-ordinator Michael Chrisoulakis. The Festivalists hosted the World Movies Secret Cinema event on Goat Island this year. They have now been nominated for the SMAC Awards in the Remix The City category [that they won last year for Jurassic Lounge]. The Guillotines is a new epic action film from renowned director Andy Lau [Infernal Affairs]. Under the Qing Dynasty, a group of young street thugs who have honed their skills killing on the streets for food are retrained to become a covert assassination squad for the Emperor.